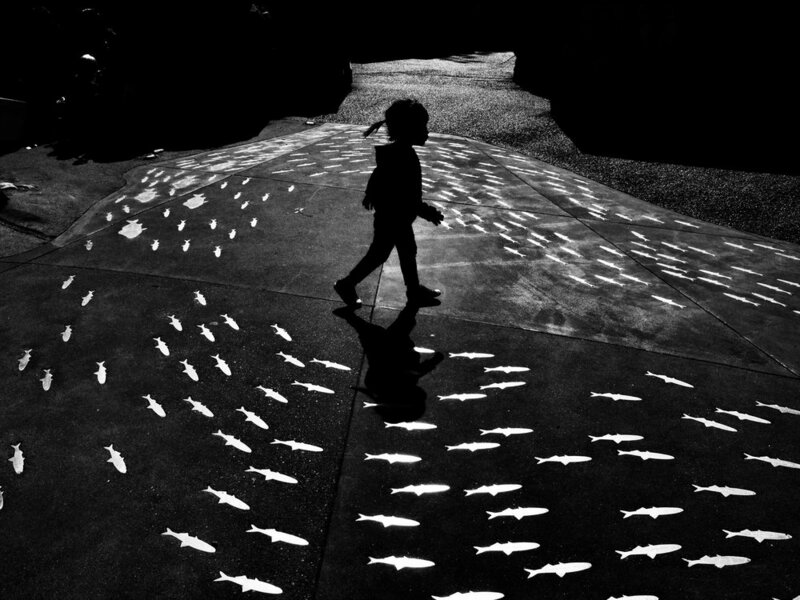 For my first post of this kind, it is my pleasure to show the work of fellow Canadian street photographer, Skyid Wang. Originally from China, living in Vancouver, Skyid photographs his daughters, Lea and Kacee. Here's what he had to say about his girls and photographing them. Lea & Kacee are two high energy little girls, 16 months apart, one in kindergarten, the other in preschool, both of them are physically active throughout the day. Their favourite activities in the house are running around, climbing up stairs and jumping off (breaking) on the couch. Lea normally takes the lead and Kacee follows and copies whatever Lea does. Lea’s pet is a hand puppet dragon and Kacee loves ponies and unicorns. I always try to figure out their secrets to how they have so much energy and stay energetic for the whole day (without a nap)! When it comes to photography, my interest is to capture their moments with that high energy. Technically, I found it is very difficult to pose them for photos, and any posed or staged photos just don't look like them. So I gave up on posing them and turned to a candid approach. In most cases, I prefer using natural light to photograph children, but since I have been practicing flash for a while, I do love using flash in some cases. The energy brought out by flash is pretty amazing. ©️ Photography by Skyid Wang.